The Environmental Monitoring Card from American Power Conversion (formerly known as Measure-UPS II) used with Smart-UPS or Matrix Model UPSes. Environmental monitoring (temp and humidity) for network environments. 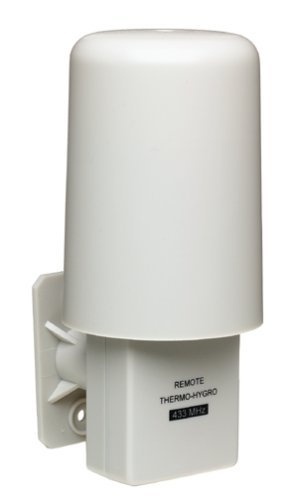 Features: wall-mounting thermo-hygro sensor and transmitter; Transmits temperature and humidity up to 80 feet. One-year limited warranty. Weather-resistant case. The TX4U operates on two AA batteries. Remote, wireless temperature/ humidity sensor for garden, greenhouse, baby's room. 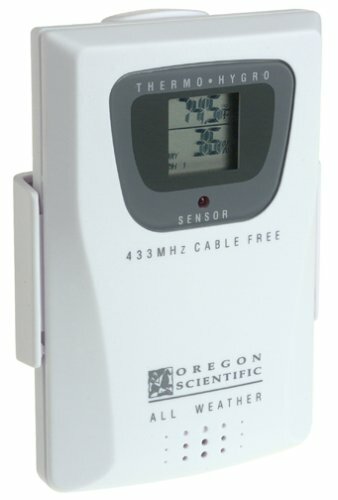 For use with Oregon Scientific cable-free thermo-hygrometer monitors. Works up to 90 feet away from monitor. Operates on two AA batteries. New lock switch locks in the mode or scale to prevent you from inadvertently changing the values 91 built-in easy-to-use scales. Eight custom scales. Built-in memories. PC compatible with optional PC interface kit. Spotlight Pointing System locates edges of the stud, Instant calibration. Pocket clip for carrying convenience. DeepScan mode for surfaces up to 1-1/2" thick. Batteries included. MT-6 finds rebar, metal pipes, conduit, junction boxes, and metal framing up to 6" deep. Scans through most nonmetallic construction materials, including solid concrete, tile, and marble. Large LCD screen pinpoints the location of metal targets to the nearest inch and depth to the nearest 1/2". 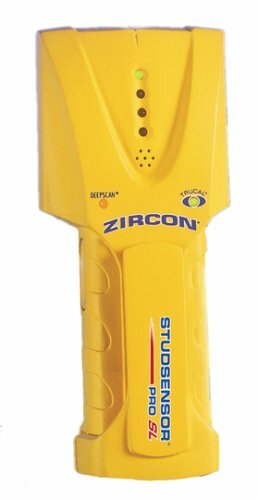 This Zircon deep-scanning metal locator, with its 6-inch scan depth and depth indication to a 1/2 inch, is effective for finding rebar, mesh, metal pipes, conduit, electrical boxes, ducting, flashing, and other materials. Graphical display. AC detection. Single 9-volt battery One-year warranty. Finds rebar in concrete up to 3 inches deep. Finds copper pipe or conduit up to 1-1/2 inches deep. Patented TruCal instant calibration ensures accuracy. LCD display and audio signal indicate target. Features four switch-selectable modes and patented TruCal instant calibration. One-year warranty. Circuit breaker locating tool with FREE AC wire finder. CF12 Circuit Finder quickly and easily allows one person to determine which breaker controls a specific circuit without turning off the power to other circuits. 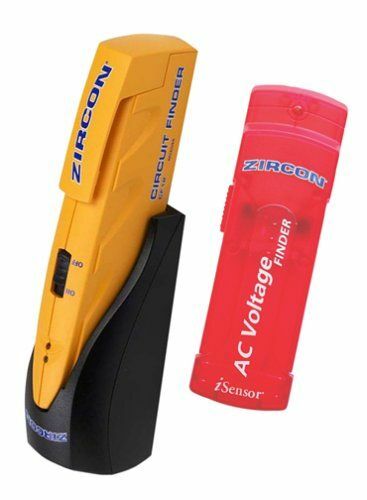 The AC Voltage Finder locates AC wires up to 3" deep behind walls. 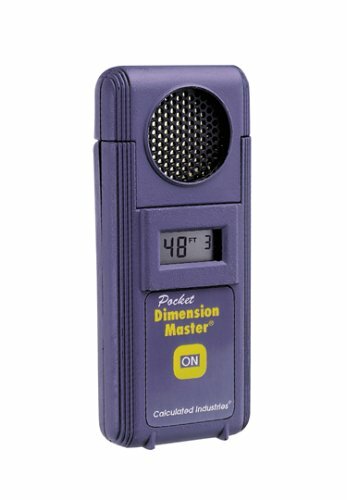 This small, pocket sized ultrasonic "tapeless" measure gives quick, simple and accurate indoor measurements. Take room measurements at the speed of sound. 99% accurate from 2 feet to 50 feet (0.6.15.2 m). Two position measuring head Imperial and metric modes. 1 year warranty. 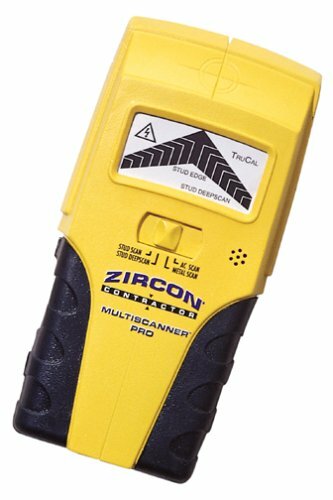 The CRL MultiScanner® Stud Finder easily and accurately locates studs, joists, metal and hot electrical wire. Recalibrates automatically to ensure accuracy. An ultra-bright LCD screen indicates direction, edge, and center of studs. This all-purpose scanner is power-packed. Battery Type 9-V (included).